Evros is with you every step of the way when it comes to transforming your business. 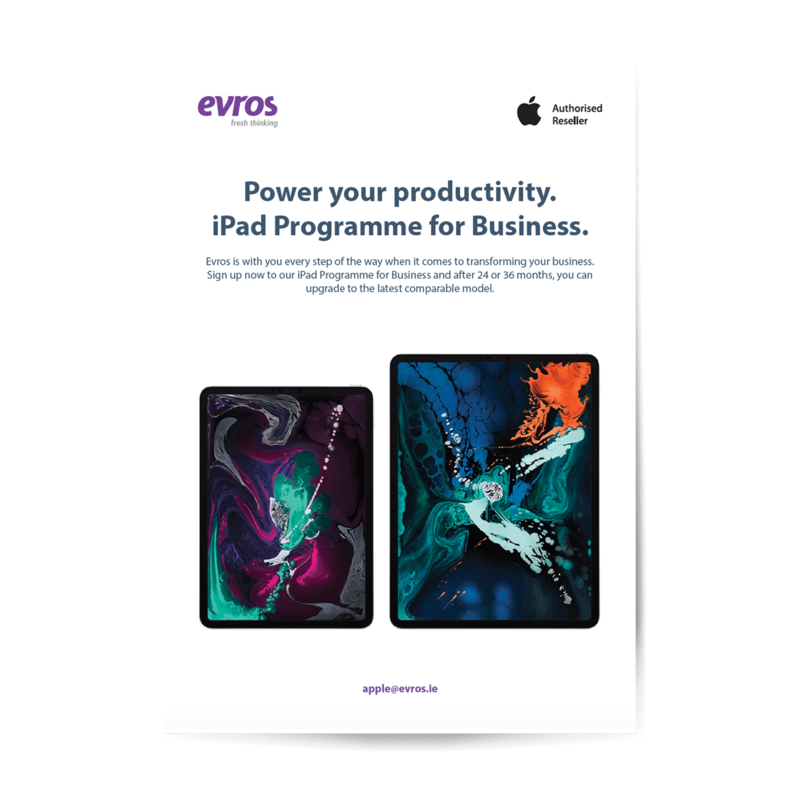 Sign up now to our Apple Programme for Business and after 24 or 36 months, upgrade to the latest comparable model. Apple products are built to be the best for business. Take advantage of powerful Apple new features for business. With new hardware and software, employees have even more powerful tools to choose from. New features make it easier than ever for IT to manage devices. And new platform technologies open up more opportunities for developers to build great apps for business. iPhone, iPad and Mac are the best tools for business. They help employees solve problems in creative ways, be productive wherever they are and collaborate more effectively. Evros is with you every step of the way when it comes to transforming your business. 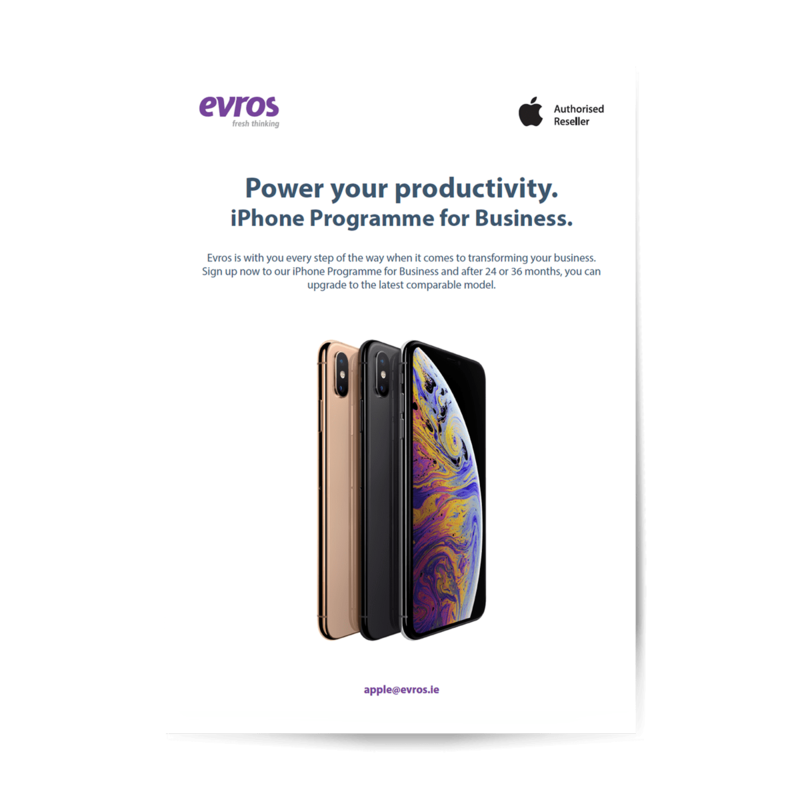 At Evros we understand the challenges that IT departments face every day and that includes large scale deployments of iPhone or iPads. The Apple Device Enrollment Program (DEP) is the ideal management tool for IT manager’s with a growing iOS inventory. As well as iOS devices though, DEP allows quick deployment of corporate-owned Mac or Apple TV hardware. If you’re considering a company-wide deployment, DEP can ensure instant MDM enrollment as users activate their device. We can help your organisation implement large scale deployment which is seamless and painless for users with zero-touch configuration, streamlined set-up and wireless supervision for IT. Learn more here or contact us at Evros today.